Breaking bad ranks amongst the darkest television shows to air on television, cooking up storylines on a crucial issue plaguing many parts of the western community: drug abuse, more specifically methamphetamine. The story basically revolves around the life of a middle aged, unhappy chemistry professor who had withdrawn from a multi-billion dollar company he helped build; unluckily he did it before the company hit gold. To make matters worse, he is diagnosed with stage IIIA lung cancer. Knowing the end is near, he resorts to manufacturing and selling methamphetamine of a quality that’s heads and shoulders above the existing product in the market. What starts off as an effort to provide for his family spirals into something of epic proportions. With a 9.5 rating on IMDb, Breaking Bad is one of the best series to hit television and at the same time deals with some very dark issues. A must watch in our opinion. Things might not always go as planned, they rarely do. As a man, it’s your job to be able to step up to the plate and take care of your responsibilities. When you’re in dire straits, you may not have the option of doing the right thing. But you still have to do it. You might not find yourself stranded in the middle of the desert with a meth lab in the back of your RV, but that does not mean you can skip on the maintenance of your daily vehicle. Considering the fact that our dependency on our vehicles is increasing every day, it’s a good idea to keep your vehicles in check. Don’t skip on the regular servicing. How it works for you: If you’re running late for an important interview, the last thing you need is your vehicle giving out in the middle of the road. And there’s nothing worse than a faulty engine to cut your road trip off mid way. The way you look definitely plays a huge role in the way you feel. 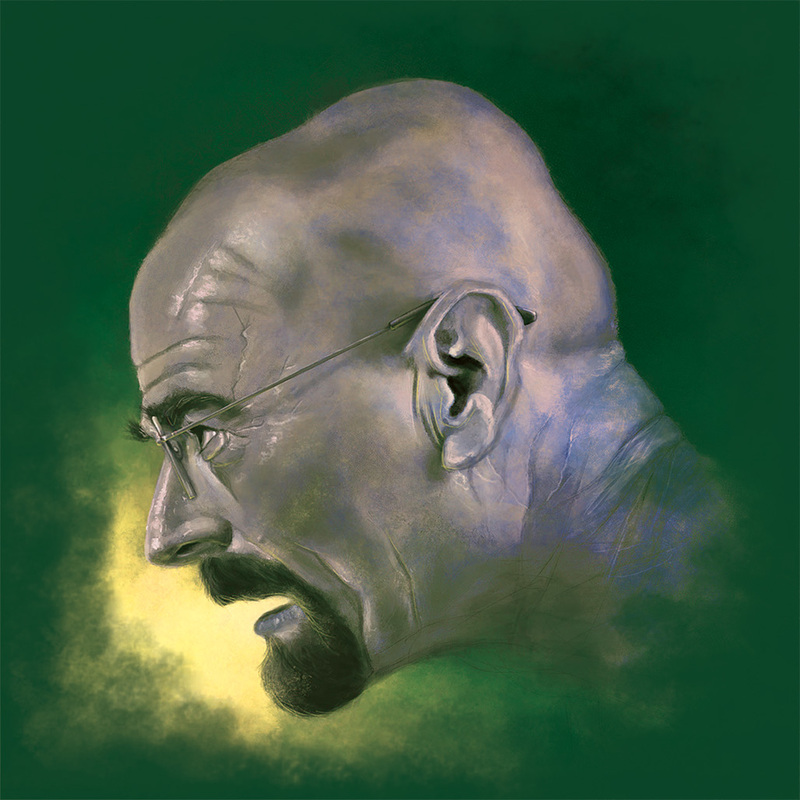 Walter White’s transcendence from the average family man to a drug world Kingpin was firmly cemented when he shaved off his hair, bringing in a considerably different side of his personality into play. How it works for you: If you’re looking to take the step towards a more toned down lifestyle, chopping off your locks and getting a simpler look might be your choice. However, if you’re tired of the monotony of everyday life you could switch things up. Put on your leather jacket and Dr. Martens… get a freaking Mohawk if you like. It’ll definitely change the way you feel, trust us. Walter has to face life threatening situations throughout the series, a hazard of the occupation. But every time he and usually Jessie find themselves in a predicament that seems like a lost cause, they manage to squirm out of it (but not unscathed). How it works for you: Whether it be while smooth talking your way out of a rut with the police or when you need a really good excuse for arriving home late and drunk as a skunk; being able to squirm your way out of a tough one is a skill that will come in handy. Life will throw you the occasional curve ball and you have to be able to deal with it. Walter could have easily lost all hope and succumbed to the cancer. But he took it in stride and decided on working out a way to provide for his family once he is gone. You can’t always expect everything to go your way, you are faced with obstacles in life and you should learn to deal with it. How it works for you: If you get laid off work, you can’t sit around feeling sorry for yourself. Get back up and get things done. You were built to survive and you will. If there’s one thing you can take from this series is the fact that everything bad must come to an ultimate end. Despite all the meticulously planned out schemes, it all crumbles down for Walt and Jesse. All good things come to an end, but bad things tend to spiral out of control. How it works for you: Not pointing any fingers here, but if you are two timing it with your girlfriend, there is little chance that it’ll end well. Just a heads up. The way Walter White went about things might not win him any prizes for determining the best career path and the choices he made led to a devastating end. However, it all started when Walter had to find a financial source to fund his cancer treatment and fend for his family once he was gone. Although whatever he did was for the betterment of his family, it does end up creating a divide between him, and his wife and son. How it works for you: We trust that family is already your first priority, but we also understand that it might be difficult sometimes. Just remember, when all is said and done, family is still family. Although Walt always tried to justify his actions as a need for a better cause, he finally does realize that it was in fact an unintended façade to give grounds to his want of doing what he loved. Walter loved cooking meth; he loved the power and fear Heisenberg could instill in people. How it works for you: If you’re going to do something just so you can pay the bills, you might not be happy doing it. It may not always be possible, but try and get a job you love and you won’t feel like you’re working at all. How it works for you: You may have the best of intentions, but that does not always excuse your actions. We don’t always get what we intend for, and that is why consequences matter.